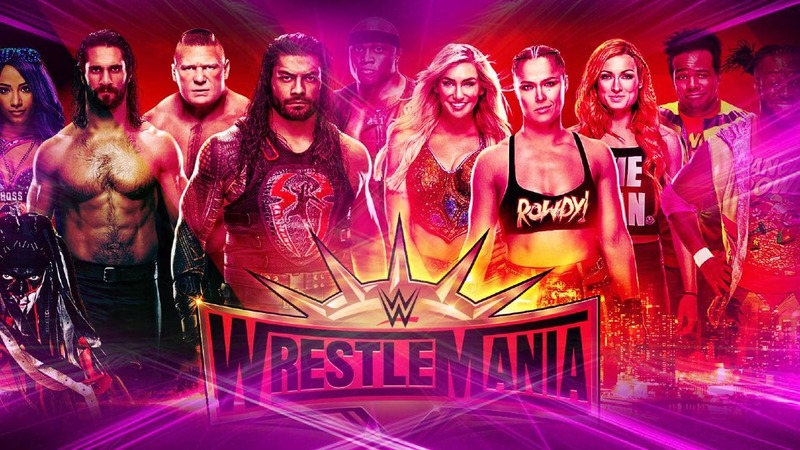 It’s that time of year again and WWE’s annual mega-event, WrestleMania, is only a few hours away. 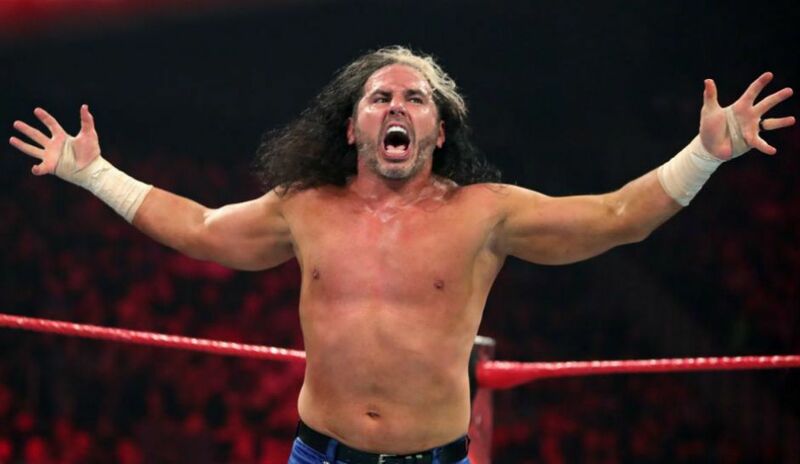 After an incredible NXT TakeOver event on Friday and an unforgettable Hall of Fame ceremony that was negatively marked by a fan’s attack on Bret ‘Hitman’ Hart during his speech, we are not set for WrestleMania 35. DiMoro’s Call: Finally, a main event that is truly everything a main event should be. WrestleMania has missed that for the past few years while it toiled in the boring vortex of Brock Lesnar title defenses. Rousey will have some time off after Mania, and Lynch is ready for her true ascension. NOTE: Lynch won’t defend both, so I see her moving to RAW and relinquishing the SmackDown Women’s Championship, which will be up for grabs in a tournament, something that will do wonders for the title, and the division. DiMoro’s Call: The ultimate underdog story pops up again, but this time Daniel Bryan is on the other side of the equation. Kingston’s rise has captured the attention of the WWE Universe, so a title win seems like a tailor-made WrestleMania moment. DiMoro’s Call: There has been some chatter that Lesnar may retain here, potentially inking a new deal with WWE today, and walking out the champ, but Lesnar as champ is simply ruining the Universal Title. The belt has been kind of stuttering since its inception, and before it’s completely irrelevant, WWE needs to allow a superstar like Rollins to carry it for the next several months – a year. Lesnar, even if he stays, never needed a title to spice up any match. Just imagine how crazy it would be to see Conor McGregor cost Lesnar the title, or to see him face-to-face with Lesnar some point down the road. THAT, is a true WrestleMania moment, but more in fantasy than reality. Rollins going over here, makes too much sense. DiMoro’s Call: If Triple H were going to go out, this could be the match to do it. But, I think HHH has 3-4 WrestleMania’s left in him, and although he is now a Hall of Famer, I think the rub of retiring him should got to an up-and-coming superstar. As for this match. Pure brutality and classic story-telling. DiMoro’s Call: McMahon hasn’t won any of his recent WrestleMania matches, so why would anyone believe he would start now. DiMoro’s Call: Reigns’ story can be capped off with an incredible win over McIntyre, and this year fans will be happy to see it. The question is if Dean Ambrose will help Reigns cash in the big win. 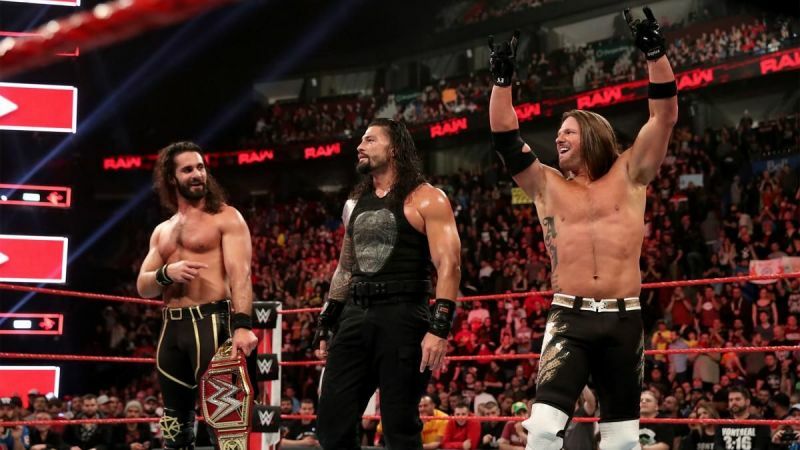 Although WWE has released him, and his departure has been well-publicized, WWE using the whole thing as a work would be a phenomenal WrestleMania moment that could do wonders for all 3 characters. I’m not sure if that’s just wishful thinking, but I wouldn’t be completely shocked if it happened. DiMoro’s Call: This hasn’t been advertised much at all, but it’s expected, and it will happen. Elias will come out to give a musical performance only to be interrupted for an impromptu match. 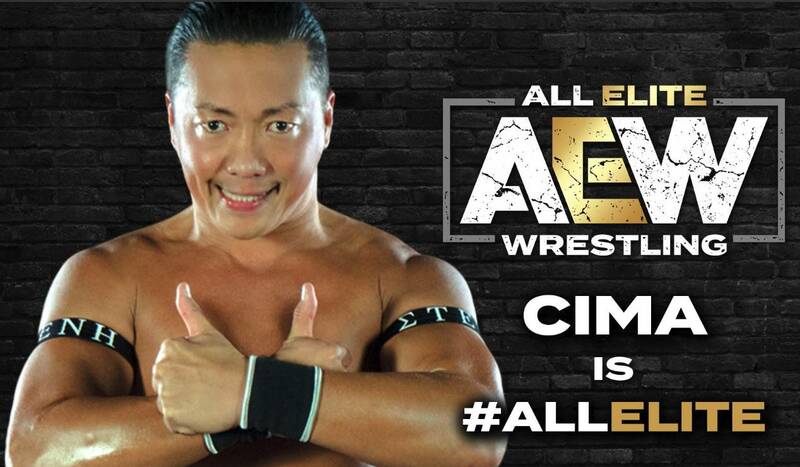 Only, I don’t see it being John Cena, who I have going up against Kurt Angle in a surprise match. This seems fit for The Undertaker, in what could be a quick squash match to give the fans what they want, and keep the Undertaker’s age and decline protected. DiMoro’s Call: This will be a mess of a match, but there needs to be an iconic victory at WrestleMania to put a big spotlight on the new tag team championships. Given The Hart Foundation’s induction into the Hall of Fame, and the return of WWE Hall of Famer Beth Phoenix, it makes a lot of sense for Natalya and Phoenix to come out with the gold. 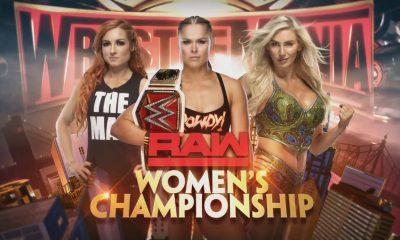 Both superstars need something new, and while this match could steal the show, it seems like the winner will be off to RAW. 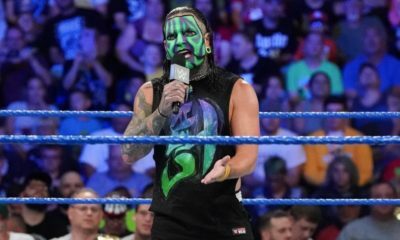 Since Styles has been a fixture on Smackdown since his arrival, and Orton going back and forth between brands for years, it may seem like Styles is the guy heading to RAW. But with SmackDown heading to FOX this fall, WWE may want to keep Styles on the blue brand. Either way, one, if not both superstars, will be packing their bags during the Superstar Shakeup. As for this match, Styles picking up the big win checks a lot of boxes. DiMoro’s Call: Mysterio is banged up for this match, and hopefully it won’t impact what could be a great match in terms of story-telling. 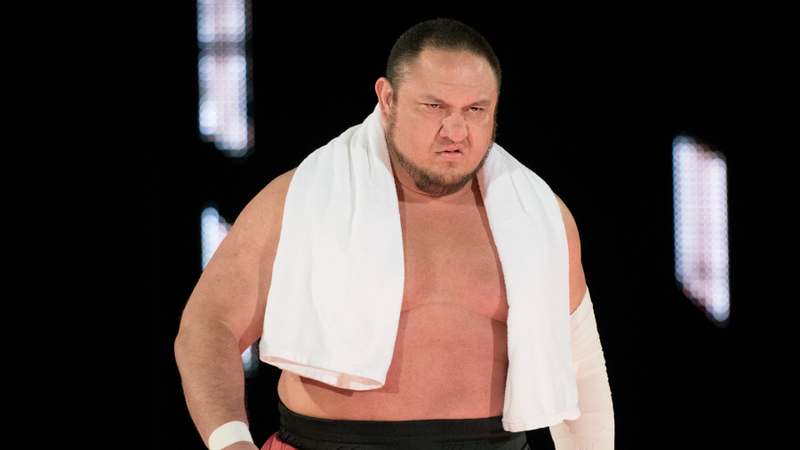 Samoa Joe finally gets his WrestleMania match, and will go out on top, retaining the WWE United States Championship with an impressive, hard-fought, victory over the future Hall of Famer. DiMoro’s Call: Honestly, WWE ruined the build for this match by switching the Intercontinental title too often. Balor should have been in position of chasing the title since the beginning of this feud. And while the rivalry itself has been decent, it could have been so much more had WWE not muddied it with…..nonsensical booking. 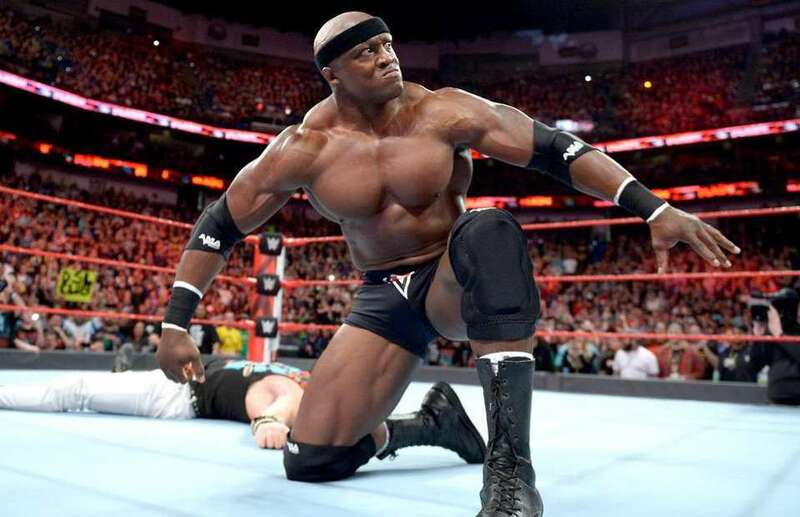 Leo Rush finally has enough of Lashley following Balor’s Intercontinental Championship victory. DiMoro’s Call: This match will be over quick. Corbin is a perfect heel for Angle, but this match is not WrestleMania worthy, nor is it worthy for Angle’s last match. Corbin has been running down Angle, saying he is washed up, old, slow, and can’t keep up with the superstars of today, which sets up a squash match for Angle perfectly. Once that match ends, John Cena will challenge Angle, and the two will have a proper farewell match for the WWE Hall of Famer and fans will get what they want. DiMoro’s Call: The WWE tag division does need some new blood atop the division, carrying the gold for an extended period of time. We have simply had too many Bar/New Day/ Usos matches that, as great as they all are, have become rather stale. This is the time to establish a new team. I love how well the pairing of Ricochet & Black has been, which is shocking, but they are more destined to singles careers than tag team ventures. However, a big win for them can setup a heel turn in the future, which would suit Black perfectly. Rusev and Nakumara have been solid too, but Nakamura is too promising as a singles star to keep on a team, and WWE needs him back at the main event level after Mania. I’ll go out on a limb and predict that Black & Ricochet take the gold. 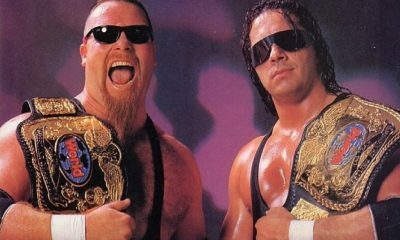 DiMoro’s Call: If WWE really wants to keep a disgruntled, but super-talented tag team such as the Revival around, they need to put more emphasis on the tag team division, and return it to the glory days of the late 80s-early 90s, and late 90s early 200s. Not sure if this match doesn’t do the exact opposite, as Ryder & Hawkins have been virtually invisible and there has been no build at all for this match. WWE could use this as a “WrestleMania moment” match where Ryder and Hawkins pull off the upset, but that would just rub everyone the wrong way. I’ll go out on a limb and make a creative prediction here. I can see the Revival winning in a squash, getting on the mic to trash, yet again, the tag team division (which would be a perfect play off reality, only for a surprise tag team to come down for a surprise match, one that could steal the show. DiMoro’s Call: This match used to mean that the winner would be getting a good push, but recent years have made this a pointless, “toss-in” match, which is a shame given the bouts name-sake. If WWE wants to right the ship, attach a title shot opportunity for the winner. Make it for the Intercontinental Championship, so it doesn’t rip off the Royal Rumble format, and makes this something special. I could see Rob Gronkowski showing up, which would give WWE their celebrity tie-in this year, but the winner needs to be someone who is about to get a push. This is the spot for the WWE to put over a new star, which is desperately needed with the growth of both the RAW and SmackDown rosters. Mandy Rose is someone who will be booked to look strong here, as will Asuka, who got passed over for a big match on the card. It would be a nice consolation prize to award Asuka the win here, but it does little for her moving forward, if anything at all, which is why I am picking Sonya Deville to go over. DiMoro’s Call: Murphy has been a great champion for the 205 Live brand, and one that draws interest to the show. Unless he is slated for a roster call-up, i see Murphy retaining over Nese in what should be a very solid match.